As I’ve said before, candid portrait photography just grasps me much more than set up photos, and this is a prime example of that. 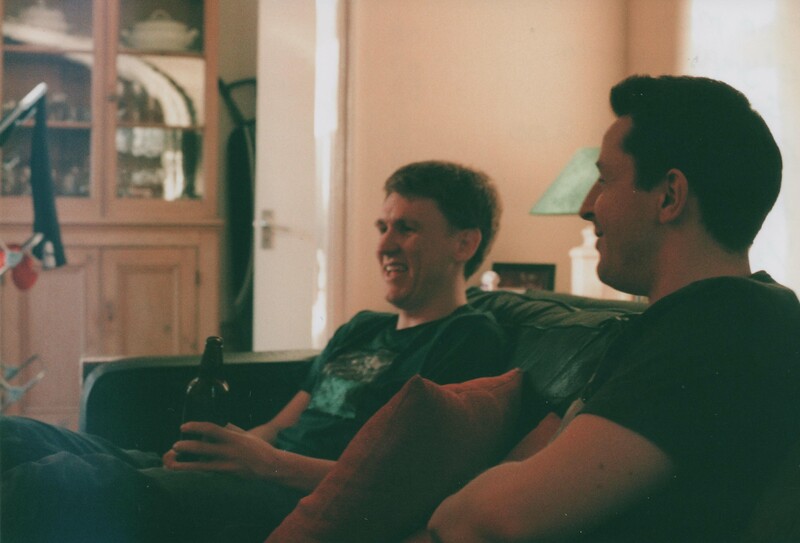 This was taken on my Olympus Om-1n using a 50mm lens on Agfa Vistaplus 200 ISO film at f5.6 1/30th sec and is my friend’s Rich and Webber sat in the living room of the flat me and Webber share, they have been playing on the Playstation and this is during a lull in the gaming, a joke or something amusing has been said clearly from the looks on both of their faces. I like how the sofa and the blurred doorway in the background frame Rich’s face, making him the focal of the image, Webber looking in his direction helps also. And I also like the slight light leak down the left hand side of the frame that almost acts like a frame in itself.